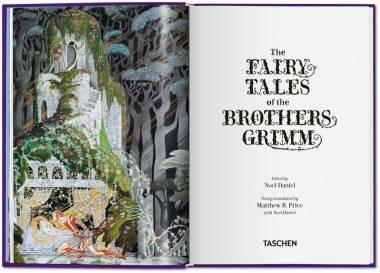 This precious anthology presents 14 of the most beloved fairy tales of the Brothers Grimm in unique pictorial splendor, combining exquisite vintage illustrations from Kay Nielsen, Walter Crane, and Herbert Leupin with delicate historic and contemporary silhouettes as well as a bonus set of stickers for young readers of favorite fairy tale characters and motifs. 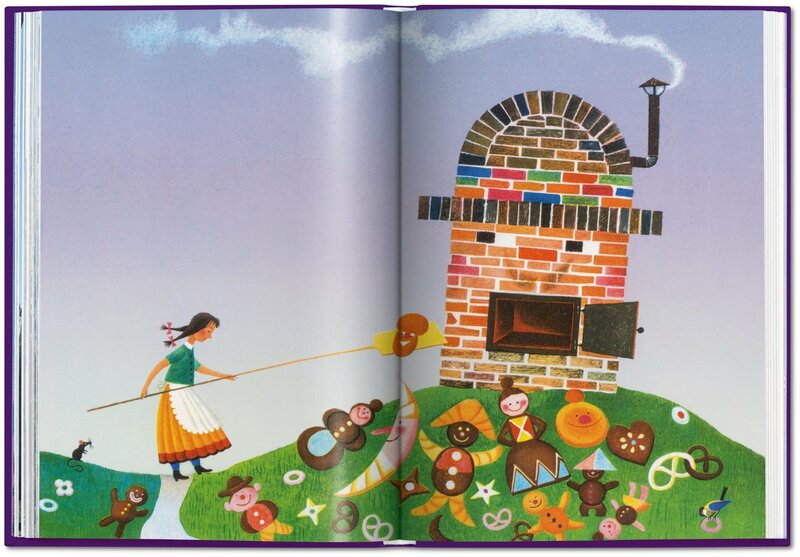 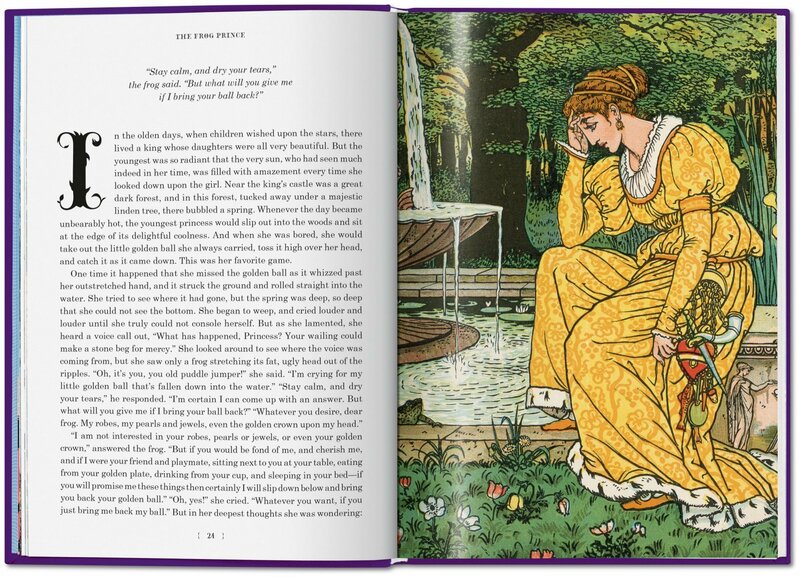 From Snow White to Cinderella, Rapunzel to Rumpelstiltskin, the Brothers Grimm bequeathed a canon of stories which have become literary and childhood classics. 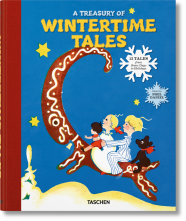 The most widely read story collection after the Bible, their magical tales are stalwarts of early learning and imagination, listed in UNESCO’s Memory of the World Register as a vital part of our history and culture. 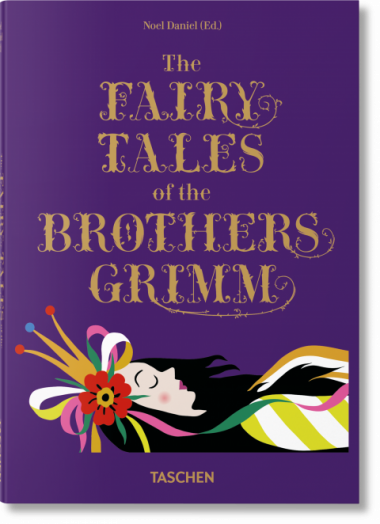 This new edition of The Fairy Tales of the Brothers Grimm brings to life 14 of the most beloved Grimm stories, including classics such as Cinderella, Snow White, Sleeping Beauty, and Hansel and Gretel. 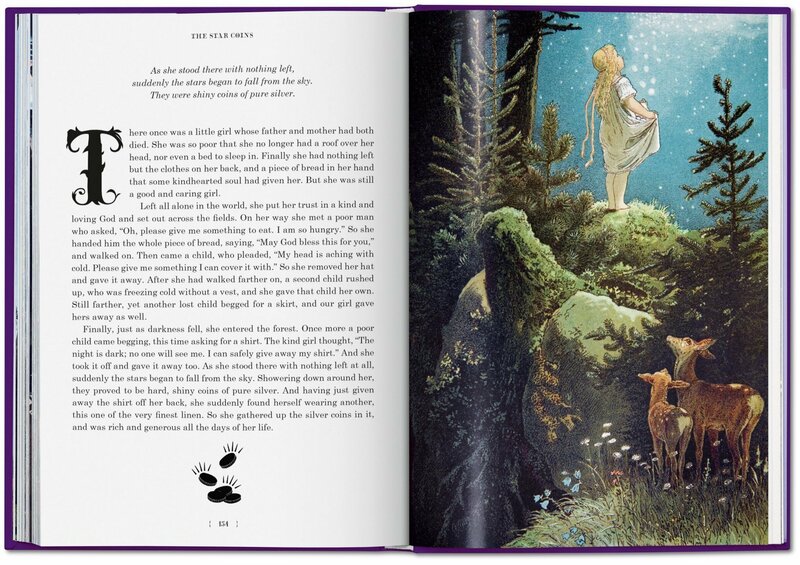 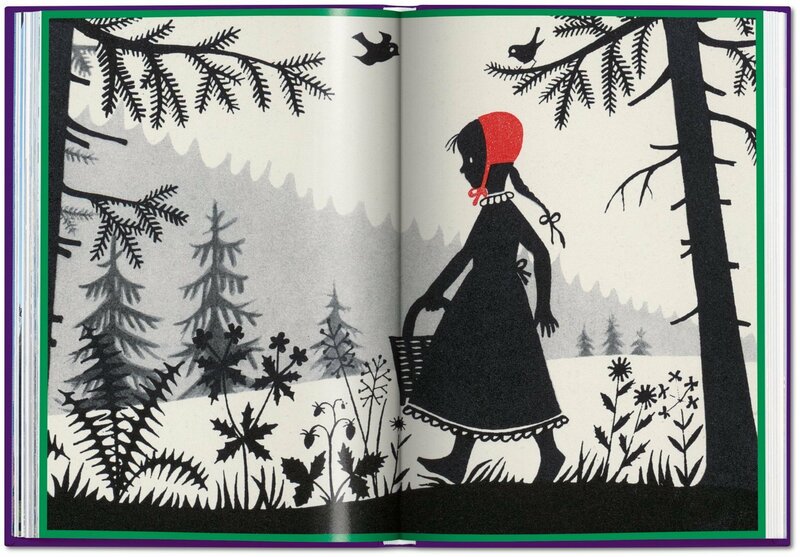 In a unique design format, each featured tale is paired with a different illustrator, bringing special pictorial splendor to each story. 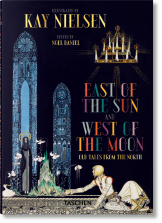 Featured artists include such masters of pictorial invention as Kay Nielsen, Walter Crane, and Viktor Paul Mohn, as well as many new discoveries. 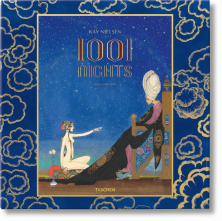 Historic and contemporary silhouettes—many commissioned especially for this anthology—further animate the tales, dancing across the page like delicate black lace. 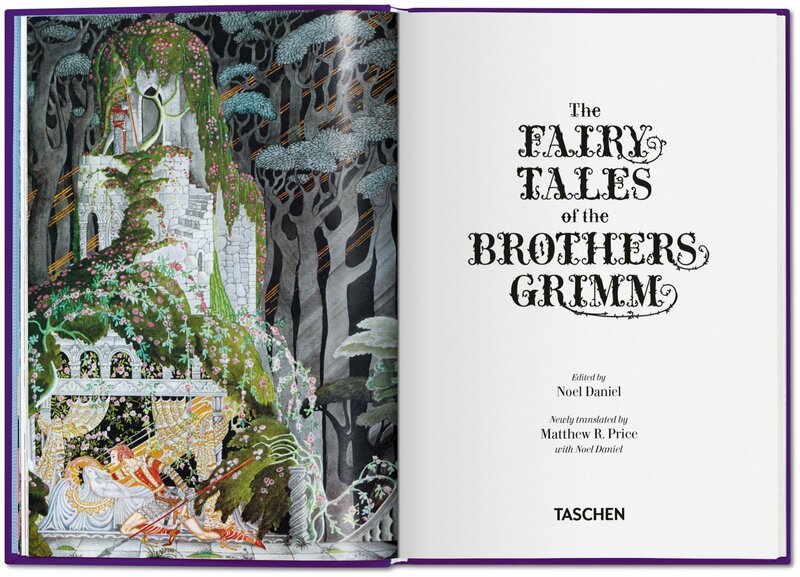 The book also contains a foreword on the Grimms’ legacy and brief introductions to each fairy tale. 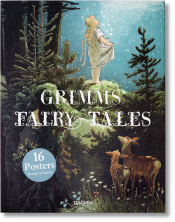 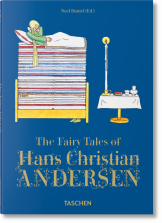 For adults and children alike, this beautiful compilation brings the eternal magic of the Grimms’ stories to the heart of every home. 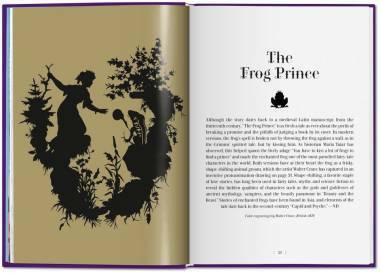 The Frog Prince, Rapunzel, Hansel and Gretel, The Brave Little Tailor, Cinderella, Mother Holle, Little Red Riding Hood, Sleeping Beauty, Snow White, Rumpelstiltskin, The Star Coins, Puss ’n Boots, The Golden Goose, The Twelve Dancing Princesses.